Most sharing requests have restrictions, and may require pre-approval. Enrollment requires completion of a health questionnaire. 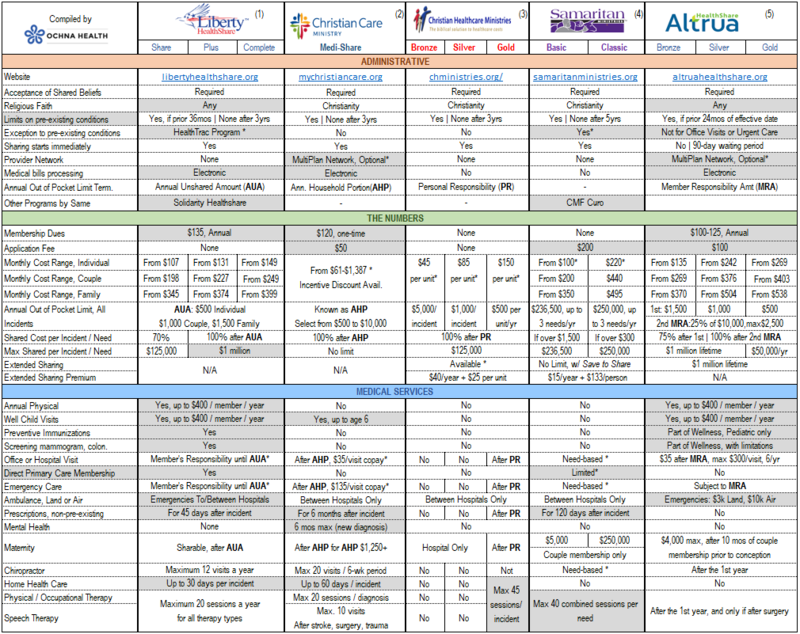 HealthTrac Program: Diabetes, Hypertension, Heart disease, Cholesterol, Obesity, and Tobacco Use. Monthly Amount depends on age, family size, and selection of AHP amount. Two units: 2 adults, or 1 adult + children. Three units: 2 adults + children. Participation is required for Extended Coverage. For Bronze and Silver, amount is increased by $100,000 per year of renewal up to $1 million maximum. For Gold, it is unlimited. Annual fee is $40 per year, plus $25 per quarter per unit. Pre-existing Condition Exclusion: Diabetes, Hypertension, Cholesterol. Sharing for pre-existing conditions possible after 1 year without symptoms or treatment, or 5 years for genetic defects, hereditary diseases, cases of related cancers, and heart conditions. The monthly Share amount for an individual membership 29 years old or younger is $160. All other household sizes are the same regardless of age in Samaritan Classic: $440 for a couple, $305 for single-parent (divorced/widowed) household, $495 for a family of three or more. 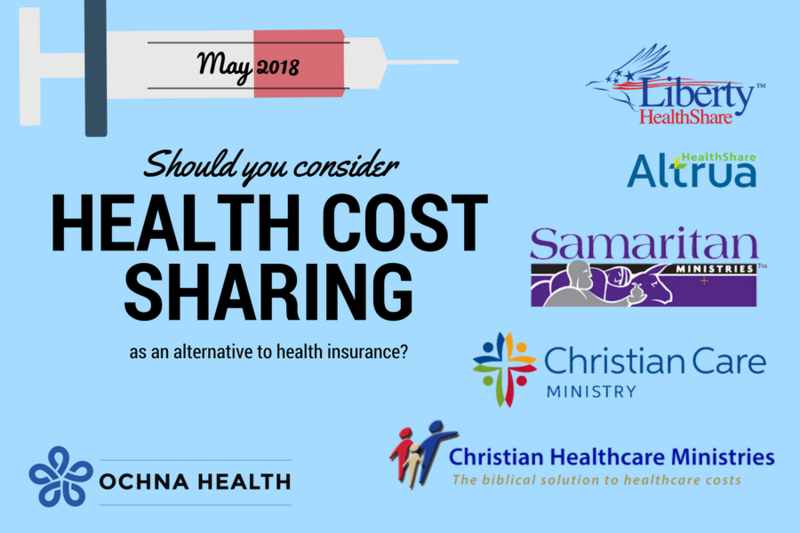 Samaritan shares DPC expenses only up to $100 for that month in which a physician is consulted, makes a referral, or changes or services related to a shareable need. Samaritan shares expenses for Medical Equipment up to $4,950. Only plans for the Gold package displayed. Rates slightly slower for the other packages.